"You haven't lived life if you do not know what lager beer is"
A crowded meeting was held in the Foresters Hall tonight to protest against the granting of a license at Maungaturoto. Mr George Fowlds M.H.R., the Rev. R. N. Davidson (Maungaturoto), the Rev. Mr Gittos (Wesleyan Missionary), Mr Wesley Spragg, The Rev. Mr Garland, Mr A. C. Caughey, and the Rev. Hugh Kelly spoke in favour of a resolution calling for enquiry into the declaration charging Mr. Hutchinson, S.M., with exhibiting bias in the conduct of the case. This was carried by a large majority. The statutory declaration made by Mr. Fowlds, M.H.R., the Rev. Messrs Davidson (Congregational), and Gittos (Wesleyan), and Messrs H. Cullen and W. Spragg, states that they were present at the sitting of the Waitemata Licensing Committee, which was presided over by Mr. T. Hutchinson, Stipendiary Magistrate. They then declare—that at that sitting an application was made in the name of Mrs Margaret Sarah for an accommodation license, to be issued for a new hotel building, at Maungaturoto, in lieu of one which was being allowed to lapse at Hakaru, over eight miles distant, Mr Moss Davis, brewer, being the declared beneficiary owner of the new house. That Maungaturoto is a Non-conformist settlement, with a history of nearly forty years, and hitherto taken pride in excluding the sale of liquor from its neighbourhood. That during the hearing of the application referred to Mr Hutchinson exhibited marked bias and unfairness in his treatment of witnesses. Bias was shown by his complete failure to condemn a false description given by five carpenters, who were taken to Maungaturoto for the purpose of erecting the hotel building, and who would be leaving shortly after the building was completed, who signed the petition in favour of a license, describing themselves as “settlers, Maungaturoto,” the falsity of this description having been sworn to by a witness named Harrison, who had collected the signatures to the petition in favour of the license. That when the same witness for the applicant admitted, upon cross-examination, that at least four-fifths of the adult bona-fide residents of the whole of the Wairau Riding, which contains the settlement of Maungaturoto, were opposed to the granting of the License, the Magistrate again showed his bias by severely reprimanding the witness because he could not say that he had personally canvassed and carefully counted the numbers for and against the license, himself repeated a rumour which he said he had heard at Maungaturoto, “That many who had signed against the license would be very glad to see an hotel there, and would be the first to go for a nip when it was opened.” That during the examination of the Rev. Mr. Davidson Mr. Hutchinson asked of him from the Bench if he drank lager beer, and being told by the witness that he did not drink lager beer and did not know what it was, retorted, “You do not know what life is if you do not know what lager beer is.” That from the beginning and throughout the hearing of the case, it was manifested that as far as the Chairman was concerned , the case was prejudged, and his influence was being used to discredit evidence from whatever source which was adverse to the application for the license. That it was given on sworn Testimony that the opposition of the residents of the district immediately concerned to the establishment of a house licensed to sell intoxicants was so strong that settlers had refused to sell sections for its accommodation, notwithstanding that high and tempting prices were offered. It was further proven before than Licensing Bench that 88 bona fide adult residents within the Wairau Riding (including a radius of 4½ miles from the proposed hotel) had petitioned against the granting of the license, while only about 20 similar residents had petitioned in favour of it. 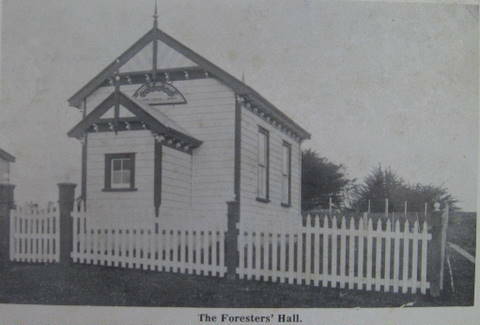 That the Magistrate, in giving his judgement, said that people living outside the Wairau Riding, but within a nine mile radius, of the proposed licensed house, had a right to an equal voice in locating the hotel with the bona fide residents with the affected settlement. That the Magistrate then declared that a majority of the settlers of this extended area had petitioned in favour of the license (a statement which we believe to be contradicted by the petitions then before the Court). That finally he did, in violation of the Act, which expressly provides that licenses may not be transferred from house to house when such houses are separated by a distance of more than a quarter of a mile, and against the petition of an overwhelming majority of the settlers of Maungaturoto proper, and to the grievous annoyance of many within the district, announce the license granted.